Barbados is most people’s favourite Caribbean island. It is perfectly set up for tourists with palm fringed beaches to laze on during the day and buzzing bars and restaurants to enjoy in the evening. There is also abundant history and culture with many 17th century sugar plantations to explore and a vibrant shopping centre of Bridgetown offering duty free goodies! 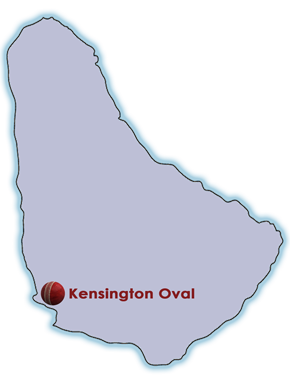 Kensington Oval is the spiritual home of West Indies cricket with England playing in the first Test held there in 1930. The Oval was almost entirely rebuilt for the 2007 World Cup and now has a capacity of 28,000. Barbados has produced many legends over the years; the bowlers steam in from either the Malcolm Marshall or Joel Garner end and the stands are named after such luminaries as Hall, Griffiths, Greenidge, Haynes and the greatest all-rounder of them all – Sir Garfield Sobers. The sunniest of the Eastern Caribbean islands, Antigua enjoys a pleasant year round climate. The island boats 365 beaches, so there are plenty of opportunities to chill out on the beach or join a game of beach cricket. Birthplace of the legendary batsman, Sir Vivian Richards, the locals are mad about cricket, with matches being held almost daily during the season of January to July. 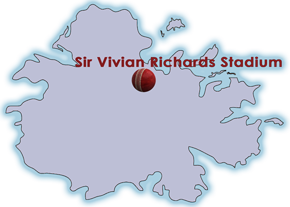 The national cricket ground is the Sir Vivian Richards Stadium which was built in 2007 to replace the Antigua Recreation Ground in time for the Cricket World Cup. As well as two large stands behind each end of the wicket, there are grass and terrace areas square of the wicket on each side for more casual watching. Grenada is a small island famous for its spices which are grown throughout their tropical, mountainous landscape. The coast is dotted with lovely beaches – none better than the famous Grand Anse which is a long, tranquil beach featuring a handful of resorts, restaurants and bars. 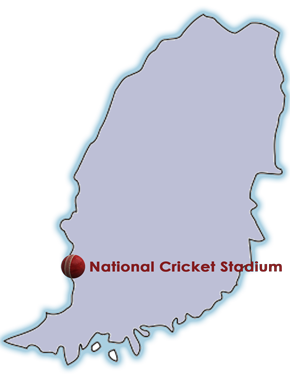 The National Cricket Stadium (previously known as Queen’s Park) has a capacity of up to 20,000 spectators. England last played a Test here in 2015 and won by 9 wickets! St Lucia – famous for its lush tropical mountains, gorgeous beaches and friendly, laid-back atmosphere only 27 miles long and 14 miles wide and has a great many cultural and botanical places. A must see are the Piton Mountains (a UNESCO World Heritage site) located on the West Coast. 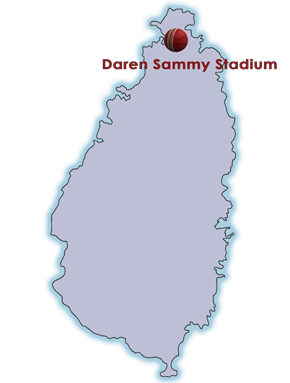 The Daren Sammy Stadium at Beausejour was built in 2002 and has a capacity of 15,000 spectators. England are yet to play a Test match here, but have played numerous ODI’s in the past.